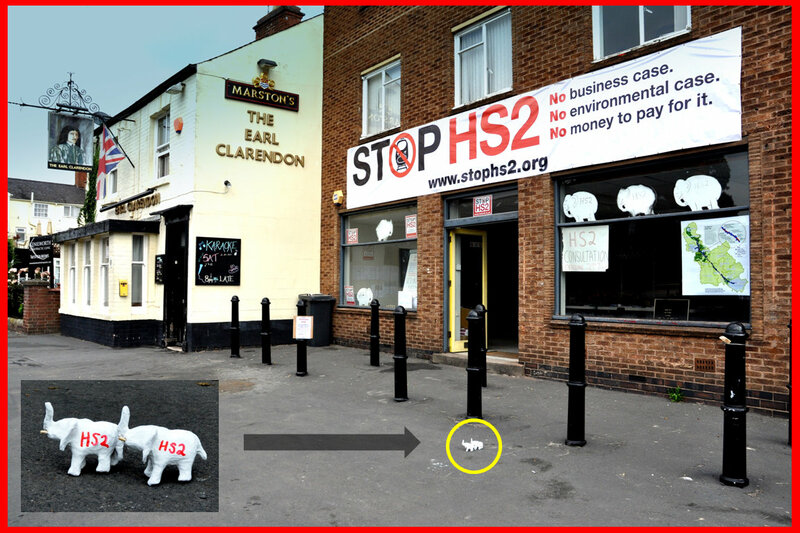 STOP HS2 Life Size White Elephant on Show in Warwick Road - But for how long? There have been a few mentions of a Life Size White Elephant on Show in Warwick Road. 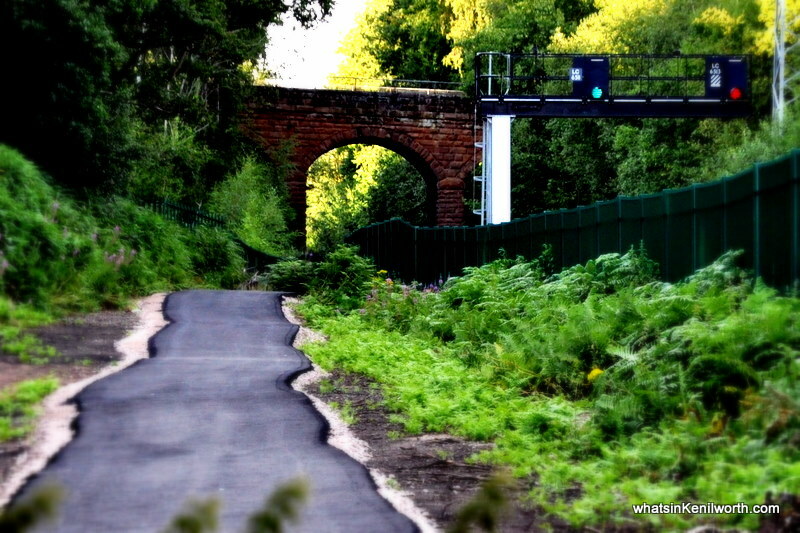 Here are the photos, you can judge for yourself if this is here to stay or will create some interest from complaining residents (and the council). For those of you who normally travel along Warwick Road and Leamington Road - expect delays or avoid the area on Sunday 24 July 2011 as many visitors are expected at the Kenilworth Horse Fair. Although this map is unofficial, it may provide a reminder which routes to take in order to speed up your journey. 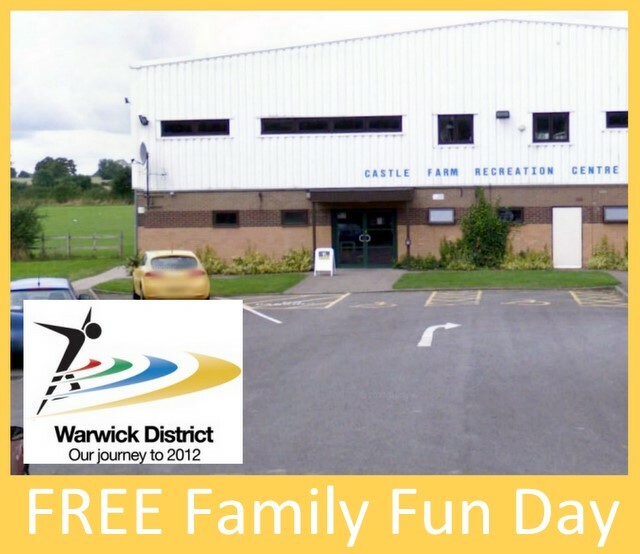 To reach the A46 Northbound, why not use Dalehouse Road or Crewe Lane. For A46 Southbound, use Brookside Avenue, Mortimer Road and then Leek Wootton. For Leamington, try Leek Wootton, Hill Wootton and rejoin the A452. 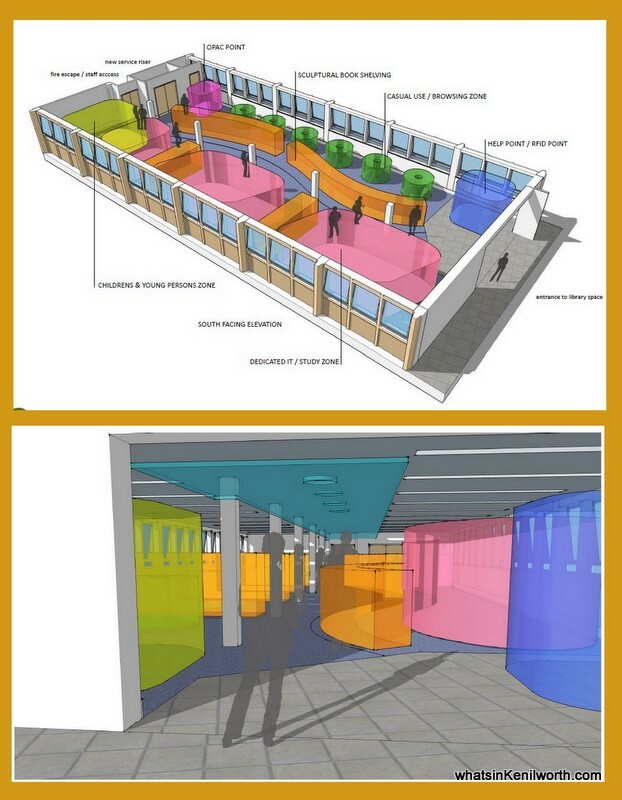 Should Someone in Warwickshire launch a Legal Challenge to save 16 libraries? To save the closure of 16 libraries, Community Groups have until 19 August 2011 to firm up their business case. 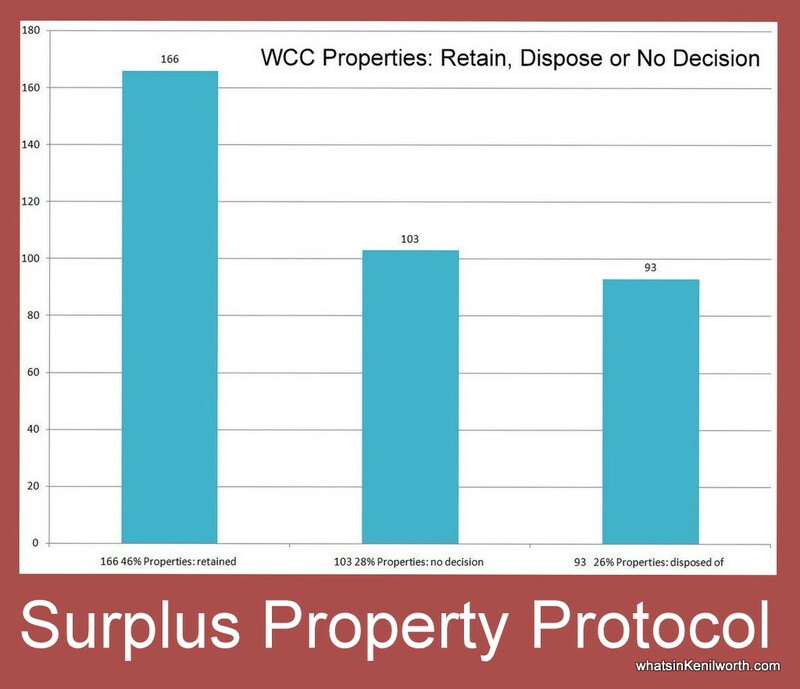 Following that, a further report from WCC will hit the cabinet table in October 2011. 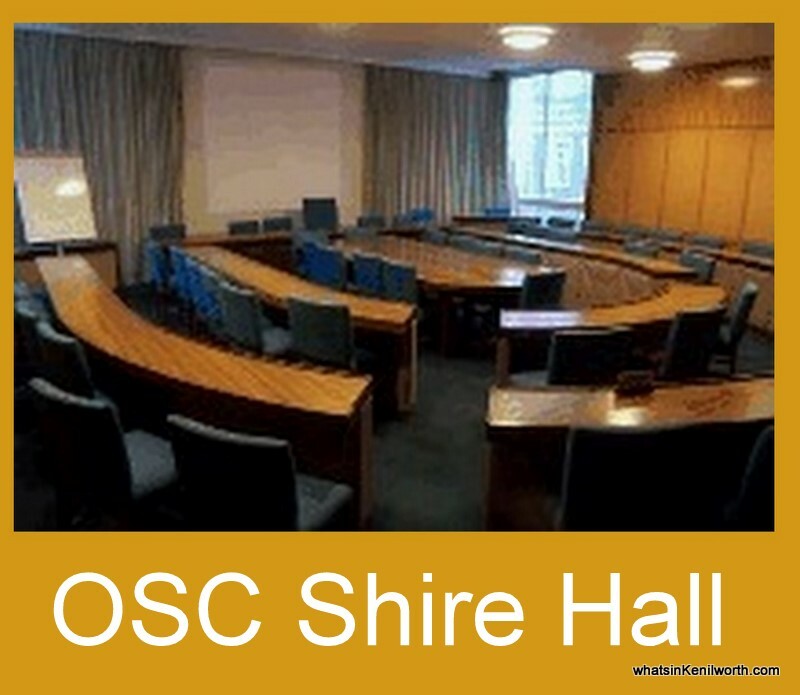 So what other choices are there - should someone in Warwickshire launch a legal challenge? Public Library News have produced a page called Legal Action. For those people who have no idea of why closing a library may be illegal, it's an excellent resource to get you started. From PLN: Current situation - Legal challenges are being prepared/under way in Brent (1), Cambridgeshire, Camden, Gloucestershire,Isle of Wight and Somerset. 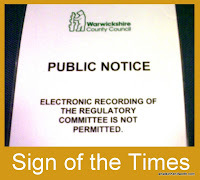 One was under way in Suffolk but the council has now performed a u-turn. In addition, a judical review had been called about the Culture Secretary's failure to comply with his legal duties at a national level but this has been dropped due to DCMS assurances. 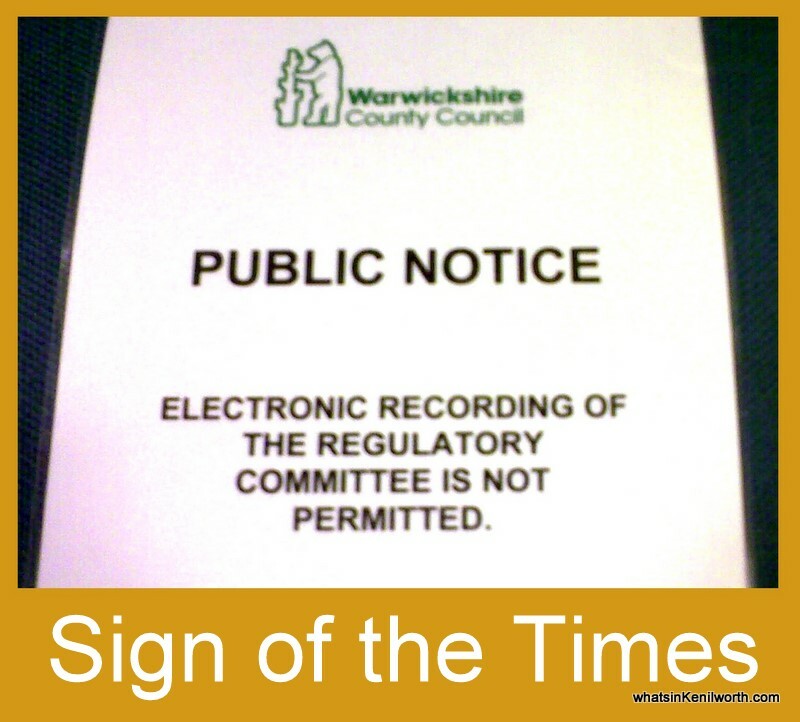 For anyone in Warwickshire thinking of starting a legal challenge to stop the closure of the 16 local libraries, I understand Voices for the Library and Public Library News will provide some very helpful advice. And as for the image above you'll notice there's no book on finance or accounts. But, plenty on Philosophy, Thinking and the Law. Warwickshire Libraries have made it very clear that their goal is to save money and until someone steps up with a class action to save all 16 libraries, Warwickshire are paddling their way to closure - Unchallenged. Note: Let me make it very clear, I am taking nothing away from the dedicated and hard work that every Community Group is putting in to save their local library. My point is simply that they should not have to. 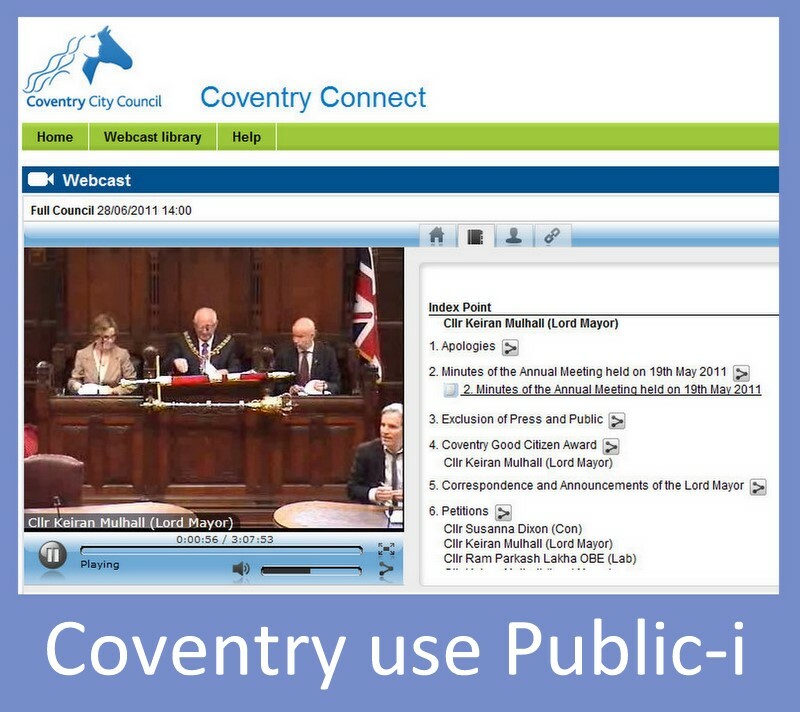 I've reported before that Birmingham City Council have streamed live video of their public meetings over the web. What I didn't know until now, is that they've only done it twice. 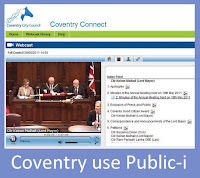 In a three page document (Live Video Streaming of Full Council Meetings) which be discussed next Tuesday, 19 July 2011, Birmingham outline their experience and provide clear and concise plans for their future. This document is so open and detailed, it's a real example to other authorities. I'm making it no secret that, I will email this post to Warwickshire County Council. In terms of population, Coventry has around 300,000 people where Warwickshire has 535,100. All the more reason Warwickshire should deliver democracy to the people in such a wide spread county. Come on Warwickshire. 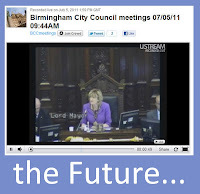 3.1 On 14 June and 5 July Birmingham City Council streamed video footage of live council meetings over the internet. 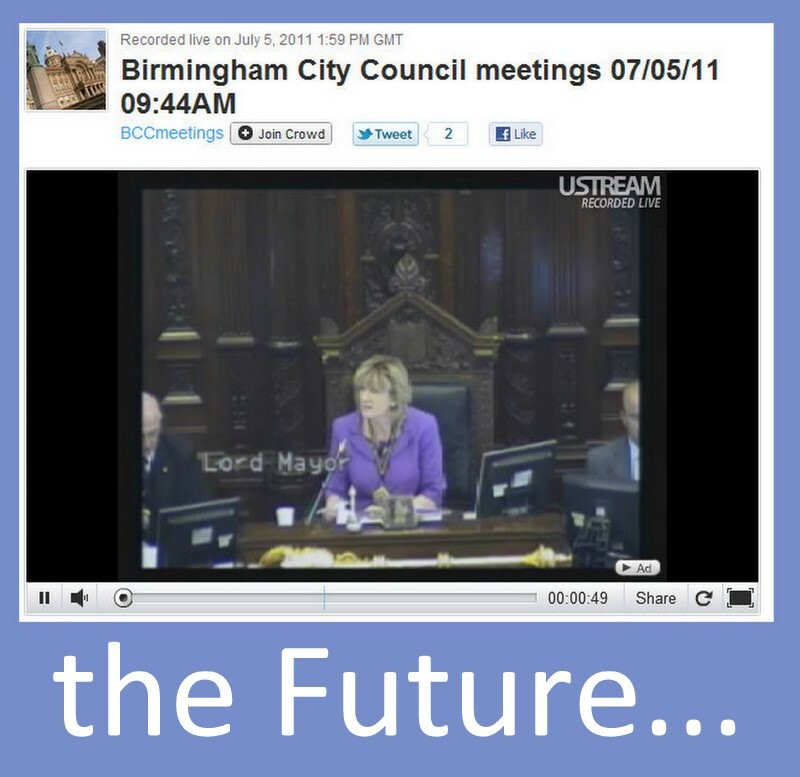 The stream was produced and embedded on the council’s online press office, www.birminghamnewsroom.com, along with a live comment/twitter feed. The stream was also made available to the media for use on their websites. Keep reading for an embedded presentation slideshow.. In this section, Community Analysis (pages 275-278). I wish I knew how many people have bothered to read the Library Report this far? 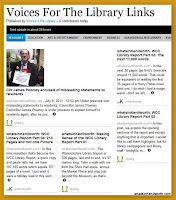 As for the wiK posts, they end up in may places, see the screen on the left on how whatsinKenilworth has 4 (out of 5) of the Top Stories at Voices For The Library Links. The document starts off telling us 15 petitions with 10,041 signatures were received. Then, it throws out many numbers and percentages which are quite meaningless. Try this for size: Q1 – What is The main way you are involved with libraries? 94% say they are a customer. 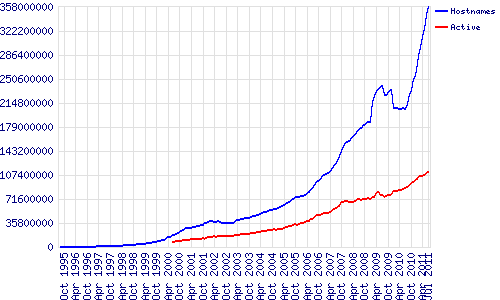 The graph looks like this. There were 426 impact letters/emails received. Now that would be a good Freedom of Information request - which would be denied, (my guess citing data protection - know different get in touch). Main Themes from Road Shows - No numerical data - what? 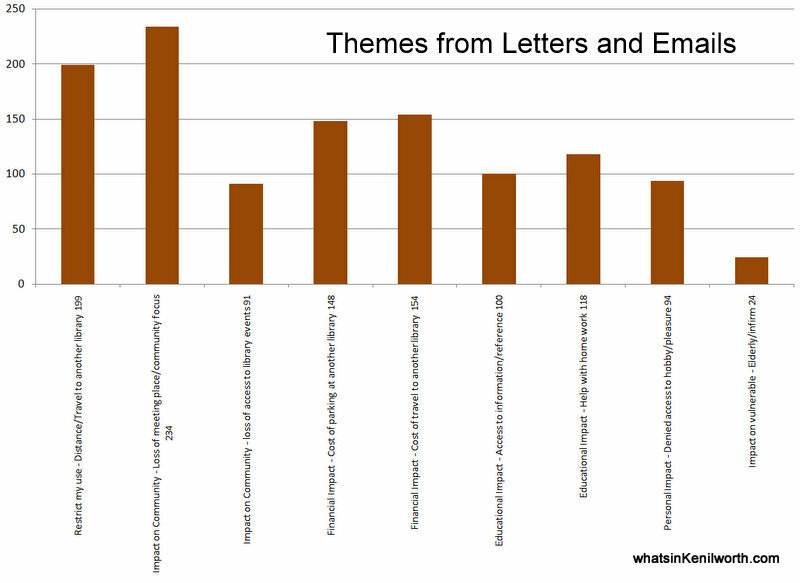 Themes from Letters and Emails top out with 234 people saying they will lose a meeting place and community focus. This is followed by distance to travel and then two sets of cost (parking and travel). 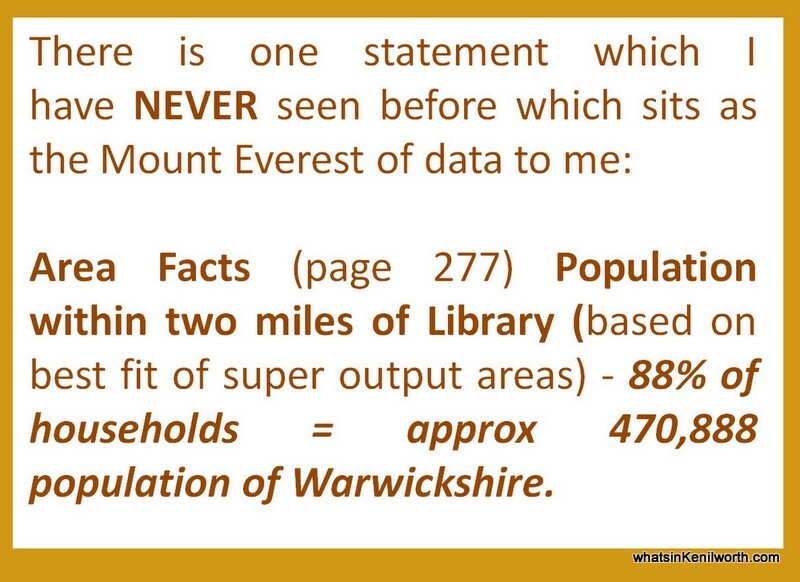 There is one statement that follows which I have NEVER seen before which sits as the Mount Everest of data to me: Area Facts (page 277) Population within two miles of Library (based on best fit of super output areas) - 88% of households = approx 470,888 population of Warwickshire. If I was designing a Library Service or Community Meeting Place and achieved half a million people within two miles - I would like to think that was a success - It is. And what are Warwickshire thinking of doing? Taking 16 of these places away. That may be the correct course of action, but I cannot see it. I wonder what a medical, educational or charity professional would think if they were in Africa and set up help famine bases within two miles of 88% of the population? I do - they would work day and night to achieve the other 12%. That's 283 pages (of 326) reviewed which is 88%, next up the other 12% - how weird is that? In this mini marathon that's become the WCC Library Report, a quick copy and paste tells me, we have 107,105 words which equals 357 pages of a novel. I just wish it were a holiday read. 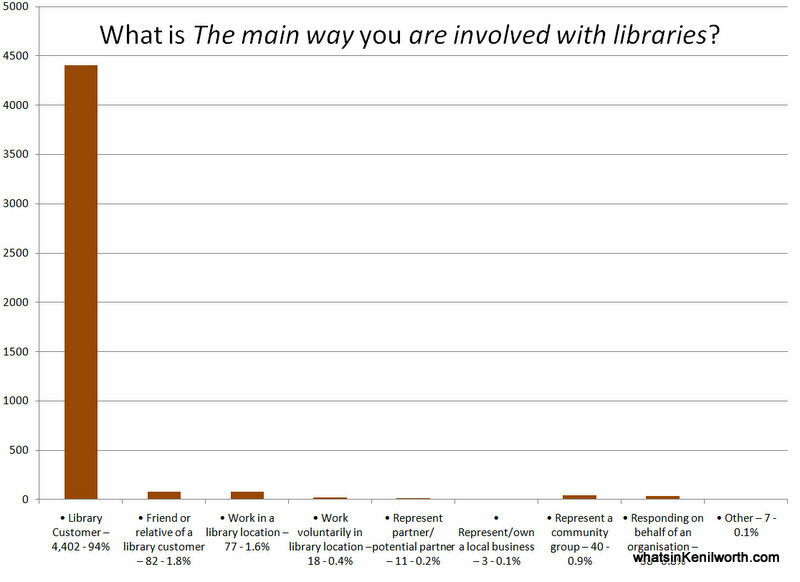 In this section, we dip into the Community Analysis: All libraries and mobiles 40 sections (pp 69-278: 210 pages) I posted earlier, page 275 gives All Libraries Data is worth a look (I will come back to that in detail in a moment). Here's the thing, as an exTeacher, I taught children from four to eleven years old. And in that time, I showed them a lot of pictures, told them a lot of stories and eventually interrogated a lot of data. In year six, in the SATS, eleven year olds (in maths and science) are asked questions on charts, graphs and tables. 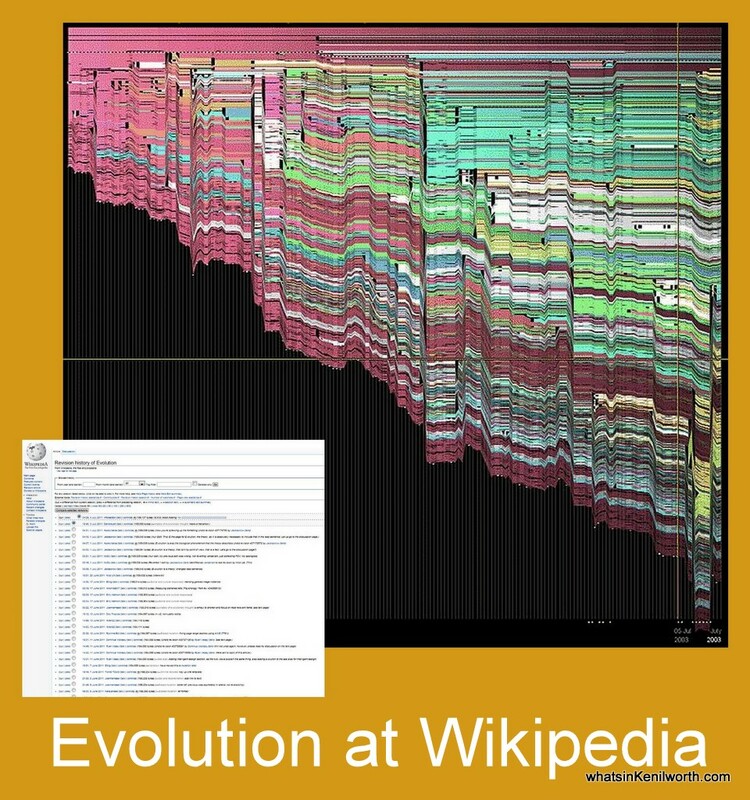 Let me tell you how many charts, graphs and visualisations there are in all 326 pages - None. To quote from an earlier post (April 2011): As humans, we think in pictures. It helps us understand the world. 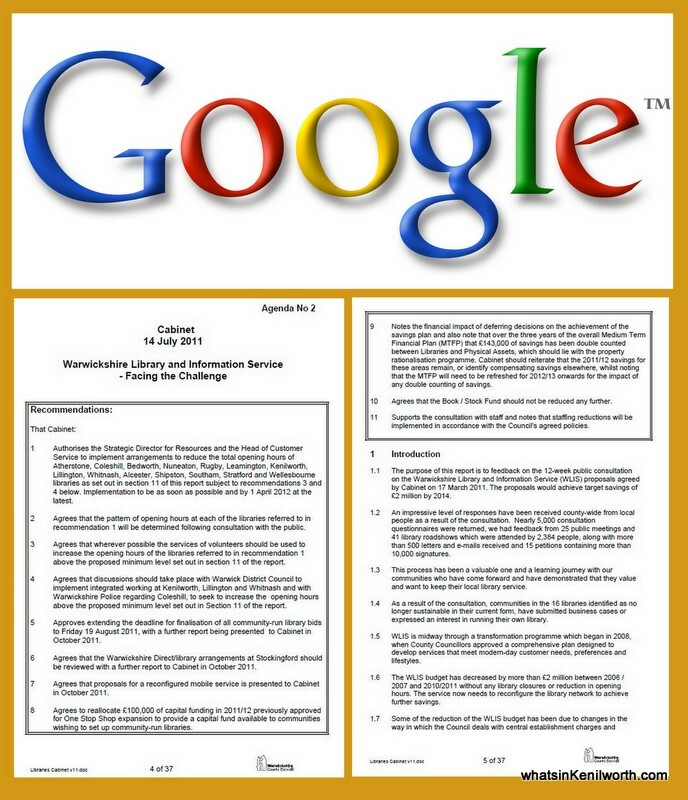 And for that reason, I have produced 19 Facing the Challenge Charts, 11 Library Online Statistics Charts, 4 Meeting and Roadshow tables and 36 other Library posts at this site. 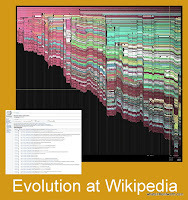 The example from Evolution at Wikipedia illustrates text versus picture - which one can you understand in a only a few seconds? Next up, in Part 5, pages 275-278 Community Analysis - All Libraries Warwickshire. In the next 38 pages (pp 6-43), there are around 11,000 words. That could be equivalent to reading the first 35 pages of a Harry Potter novel (and yes, I do wish I had a magic wand - don't we all). So what's in it? Many many short paragraphs labelled with numbers (there are 14 in the introduction). They tell us the report's purpose is to feedback from the 12 week consultation. What I'm looking for, at this stage, is any information I can hang my hat on and disregard the waffle. In my view, each point could be contested. For example, The proposals to reduce the number of council-run libraries from 34 to 18 would affect less than 10% of all library visits (1.9). As as data fact, that may be true. But would you take away a disabled access ramp in a village, just because only two people use it? My point comes from equality - and it's not new. I am not the first, and certainly not the last, to ask - how can it be a consultation when WCC have decided to bring down the hammer and the people have to either watch it fall or rally a survival plan? Section two is called Transfomation which talks about plans since 2008 (makeovers, audiobooks, ebooks). Next comes Budget and after that Consultation. There is one section called Informing local people (4.11) which talks about radio, TV and newspapers. 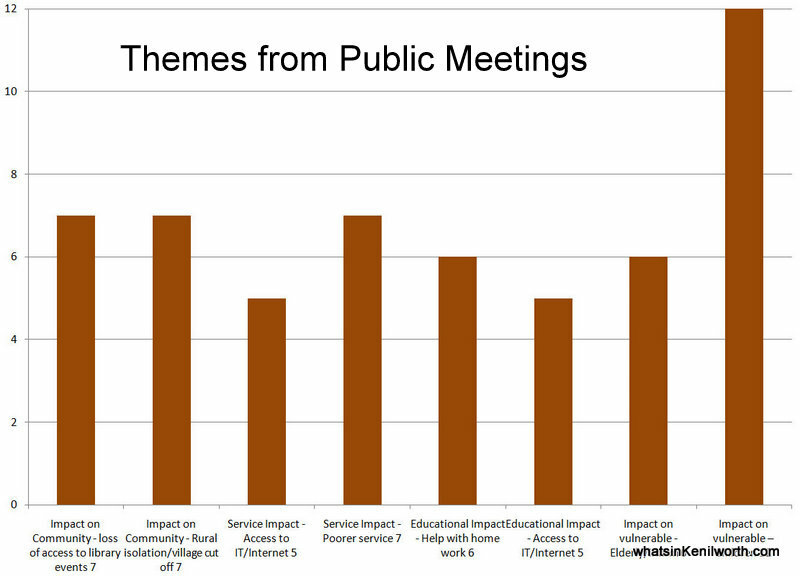 Then this, In addition to traditional methods such as roadshows and meetings, we used less formal ways to engage hard-to-reach groups who could be affected by the proposed changes - including Twitter and, for the first time, a consultation 'blog' (4.11.5). I'm speechless, this is 2011, the whole reason libraries are finding it tough is because there is a massive increase in online use. And then, some bright spark calls blog readers and twitter users hard-to-reach groups. And then it says a few tweets reached 56,190 followers (4.11.6). So, far from reading half of the report, and the facts I have seen, there is a large shadow of REASONABLE DOUBT that closing 16 libraries cannot be a good idea. For example, the public want their libraries to STAY OPEN. Section 6 Submissions for Running a Community Run Library (p 17) and the Community Business Case. To read page 26 and see the names of actual members of the Public, Church Reverends, Councillors and Charity Groups is a moving experience. You can almost hear the group discussions and feel the energy of these committed and courageous people. I do know that many local MPs assisted too, but they are not named. Hold the Phone: 6.15 Evaluation Process Outcome states there are only six submissions which had provided business cases. 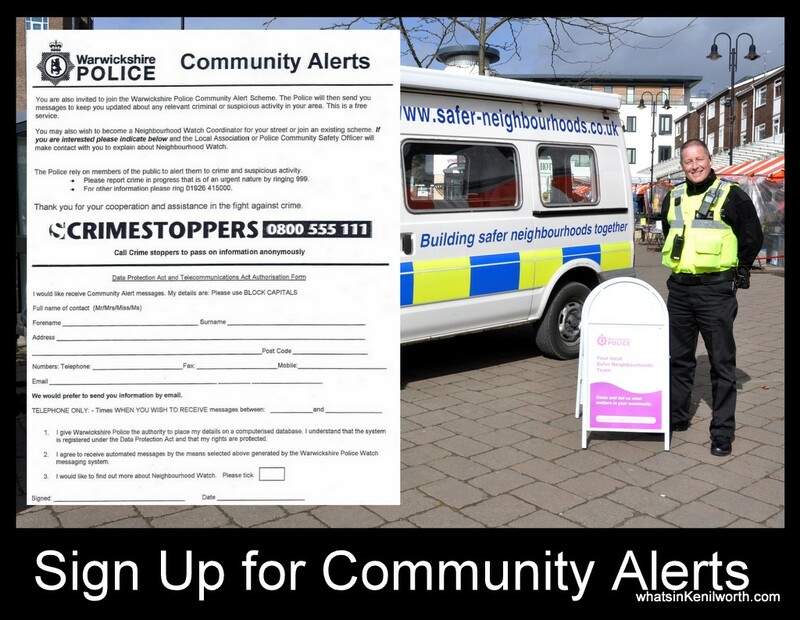 They were: Baddesley Ensor, Binley Woods, Bulkington, Harbury, Kingsbury and Studley. 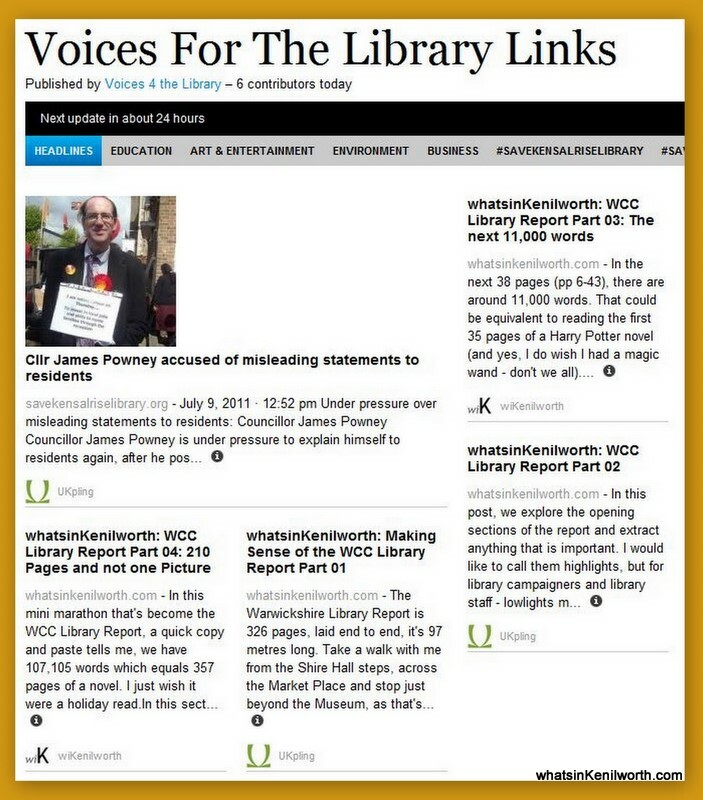 This contrasts with the very public and PR Spun Press Release of: Sixteen communities have come forward expressing an interest in running their own libraries and we are looking to see if those business cases can happen. They could have easily said, we have 6 out of 16 that are looking good - but WCC didn't (38% looks like a figure best left buried). 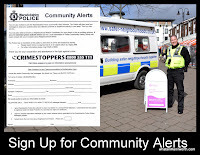 What they did say was all Community Groups have an extension until Friday 19 August 2011. The next section is 7 Impact on Employees. This one did make the news. The Preference Form (7.4), I have been unofficially told will be available from 23 July 2011. 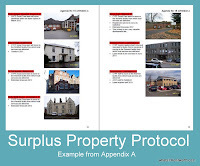 Page 32-33 give some very detailed 8 Financial, 9 Legal and 10 Property statements - I'm not even going to begin to dissect those (at this stage). And finally, 12 Conclusion: the future (p 39). 12.10 states, Libraries will continue to be a brand people can trust - where did that statement come from, where does it fit in and what relevance does it have? In my view, it must be from some training course somewhere on public relations or customer service. What I do agree on is that times and therefore libraries must change and use technology (12.1/2). Well that's it for this section. We've walked 13 metres (out of the 97m) which is 13% or page 43 of 326. No idea what I'm referring to, then - go back and read Part 01. In this post, we explore the opening sections of the report and extract anything that is important. I would like to call them highlights, but for library campaigners and library staff - lowlights may be a better word. 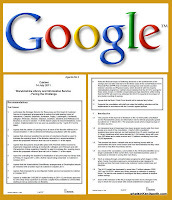 Contents of 326 pages: Agenda (pages 1-5: 5 pages), Libraries Report (pages 6-43: 38 Pages): LIBRARY REPORT (now at Google Docs) Note: page numbers (in this post) refer to the pdf document. Page 6: Recommendations: 1. That this committee considers and comments upon the contents of the report which will be submitted to Cabinet which meets on 14 July 2011. Page 10, Starts a 37 page Libraries Report. 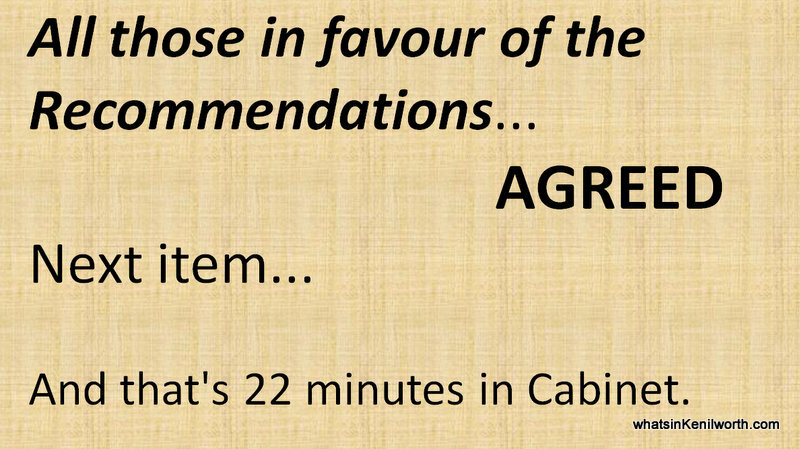 The cabinet recommendations are written at the start and at the end. Why do this? 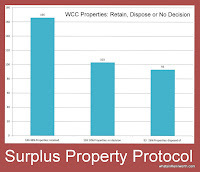 WCC may say to give the councillors a summary. Surely, it's read the report first and then think about the action. I am trying to think of a reasonable example where you are told to make a decision, before you hear the evidence. Is there one? Even in the many court room movies we've all watched, the prosecutor's says, 'He's guilty Your Honour!' and the defence always steps up, as quick as a flash, saying, 'He's innocent as the day he was born!' Debate for another day I'm sure. Here are the 11 recommendations in full. 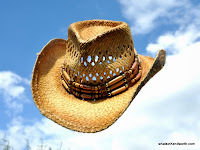 When I post them here at wiK they will be Google searchable (bringing the information to the masses). Previously, they existed in a pdf document (public, but hidden from google). This is a big issue - it's a like going to a clothes shop and knowing they have socks in your size, but no one will help you look. 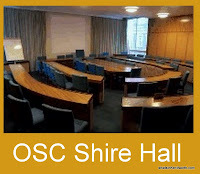 1 Authorises the Strategic Director for Resources and the Head of Customer Service to implement arrangements to reduce the total opening hours of Atherstone, Coleshill, Bedworth, Nuneaton, Rugby, Leamington, Kenilworth, Lillington, Whitnash, Alcester, Shipston, Southam, Stratford and Wellesbourne libraries as set out in section 11 of this report subject to recommendations 3 and 4 below. Implementation to be as soon as possible and by 1 April 2012 at the latest. 2 Agrees that the pattern of opening hours at each of the libraries referred to in recommendation 1 will be determined following consultation with the public. 3 Agrees that wherever possible the services of volunteers should be used to increase the opening hours of the libraries referred to in recommendation 1 above the proposed minimum level set out in section 11 of the report. 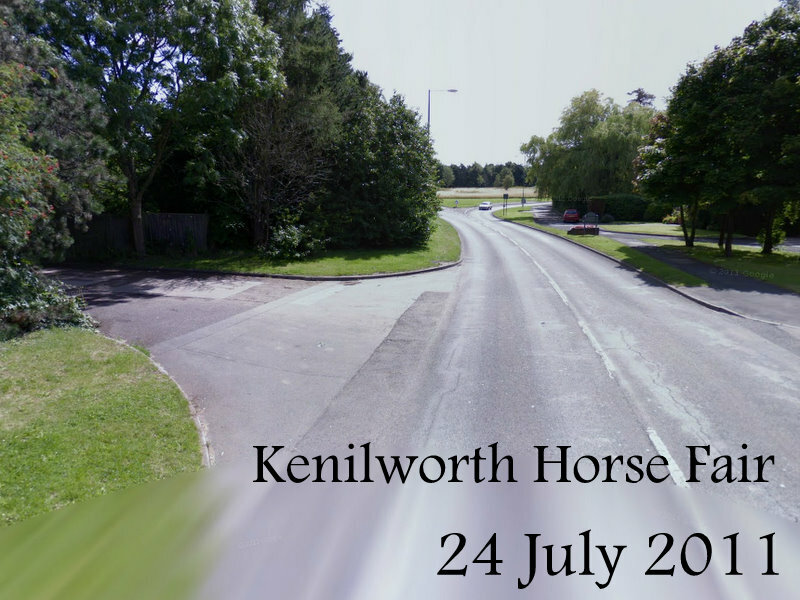 4 Agrees that discussions should take place with Warwick District Council to implement integrated working at Kenilworth, Lillington and Whitnash and with Warwickshire Police regarding Coleshill, to seek to increase the opening hours above the proposed minimum level set out in Section 11 of the report. 5 Approves extending the deadline for finalisation of all community-run library bids to Friday 19 August 2011, with a further report being presented to Cabinet in October 2011. 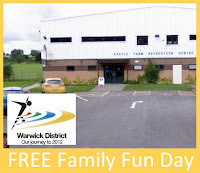 6 Agrees that the Warwickshire Direct/library arrangements at Stockingford should be reviewed with a further report to Cabinet in October 2011. 7 Agrees that proposals for a reconfigured mobile service is presented to Cabinet in October 2011. 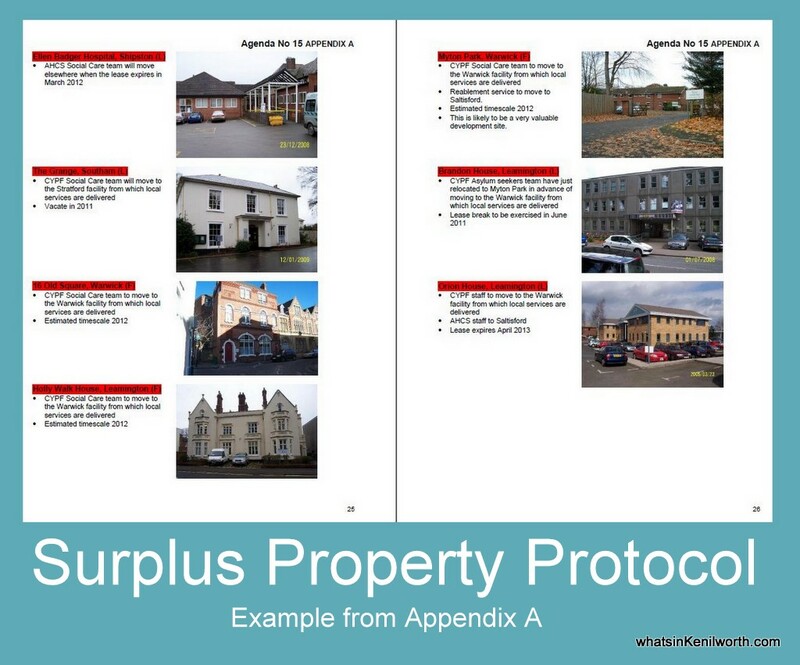 8 Agrees to reallocate £100,000 of capital funding in 2011/12 previously approved for One Stop Shop expansion to provide a capital fund available to communities wishing to set up community-run libraries. 9 Notes the financial impact of deferring decisions on the achievement of the savings plan and also note that over the three years of the overall Medium Term Financial Plan (MTFP) that £143,000 of savings has been double counted between Libraries and Physical Assets, which should lie with the property rationalisation programme. Cabinet should reiterate that the 2011/12 savings for these areas remain, or identify compensating savings elsewhere, whilst noting that the MTFP will need to be refreshed for 2012/13 onwards for the impact of any double counting of savings. 10 Agrees that the Book / Stock Fund should not be reduced any further. 11 Supports the consultation with staff and notes that staffing reductions will be implemented in accordance with the Council’s agreed policies.